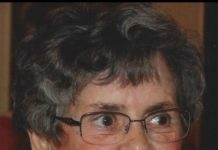 Somerset – Adriana “Anne” Adele (Sperduti) Darcy of Somerset, Massachusetts passed away March 8, 2019 at Beaumont Nursing Home in Northborough, MA after a courageous battle with Alzheimer’s disease. She was 93 years old. Anne is now reunited with the love of her life, Paul Edward Darcy Sr. to whom she had been married for over 55 years. Born December 1, 1925 in North Providence, Rhode Island, the eldest of seven children to the late Pietro (Peter) and Anna (Criscuolo) Sperduti, both from Italy, Anne spent most of her childhood and young adult years living in Fall River, MA. She moved to Somerset, MA in 1957 and was a resident there for 55 years. Anne attended BMC Durfee High School in Fall River and then graduated from the Thibodeau Business School. 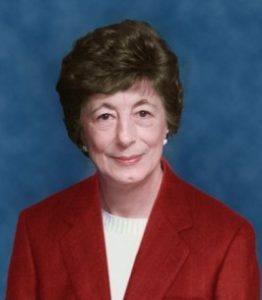 She later worked for the R.A. Sweeney Moving & Storage Company in Fall River and in 1961 began working for the Somerset School Department as a bookkeeper and cashier at the high school cafeteria. She retired in June 1995 after 33 years of service. Traveling throughout the world with her husband was one of Anne’s favorite past times and she was a member of the Royal Travelers Club. However, she would always say upon her return that it felt so good to be home again. Anne was a member of the Saint Thomas More Parish in Somerset and was very active with the church Guild and the Retirees Club. Cooking, sewing and hunting for yard sale treasures every Saturday morning were hobbies Anne enjoyed. Otherwise you might find her walking the high school track or the river road with her husband or listening to Frank Sinatra music. Anne’s primary joy and focus throughout her life was to her family. She dedicated herself to spending time with them, as they were the light of her life. The family will be forever grateful for her fine example of hard work, humility, kindness, generosity, love, and sacrifice. She will be greatly missed by her adoring family and all who knew her. In addition to her husband she leaves one son, Paul Edward Darcy Jr, M.D. and his wife Barbara (Shea) of Shrewsbury, and one daughter, Leslie Ann Darcy Wyzga of Hopkinton and former husband Michael S Wyzga of Boston. Besides her children she leaves her 5 precious grandchildren Brian P. Darcy, his wife Daniela Kupor and Daniel P. Darcy both of Boston, Matthew J. Darcy of Nashville, TN, his fiancée Aubyn Carraway, Diana E. Wyzga Sirna and her husband Joseph of Reading, and Michael D Wyzga and his wife Adrienne (Huckaby) of Mansfield. Anne also leaves one great-granddaughter, Mariella D. Sirna. In addition to her children and grandchildren Anne is the sister to Reginald (Larry) Sperduti and his wife Eileen of Spring, TX, Verna Perry of Prescott Valley, AZ, and sister-in-law to Eileen Darcy, Mary, Natalie, and Violet Sperduti. She is predeceased by her brothers Achilles (Argie), Attilio (Peter), Sisto (Gene), and Dennis (Danny) Sperduti. Anne will also be fondly remembered by her 26 nieces and nephews. A calling hour will be held from 9am to 10am on Saturday, March 30th, at Hays Funeral Home, 56 Main Street, Northborough. Anne’s funeral Mass will follow at 10:30 AM at St. John Evangelist Parish on 20 Church Street Hopkinton, MA. Committal prayers and burial will take place at 11:00 AM on April 1st at St. Patrick’s Cemetery on County St, Somerset, MA. In lieu of flowers, memorable contributions may be made to: Alzheimer’s Association, Massachusetts/New Hampshire Chapter, PO Box 96011, Washington, DC 20090-6011. Please visit www.HAYSFUNERALHOME.com to leave a condolence or to share a story.